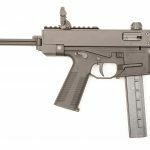 B&T has another firearm going to production as soon as April of this year, the new P26. 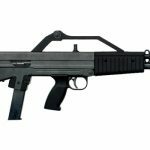 Reminiscent of the Swedish Interdynamic model MP-9 sub-machine gun from 1983, the design is a direct blowback with a tubular type upper assembly and a polymer lower; resulting in an overall polymer fabrication of 60%. While the P26 retains the charging handle on the left hand side, this closed-bolt semi-auto drops the sliding wire-stock for the folding polymer B&T MP9 stock. 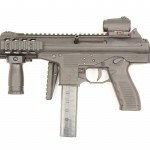 The P26 is added to the list of B&T 9mm’s that also use the same magazine; alphabetically the APC9, MP9, TP9, and now the P26. The new Swiss made firearm has ambidextrous safety selectors and magazine release buttons. 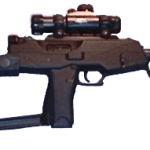 The firearm has four rails on it and basic iron sights. The 9x19mm chambered weapon weighs in at 2.3 kg (5.07 lbs), with an overall length of 632 mm (24.88″), a folded length of 402 mm (15.82″), and a barrel length of 175 mm (6.88″). 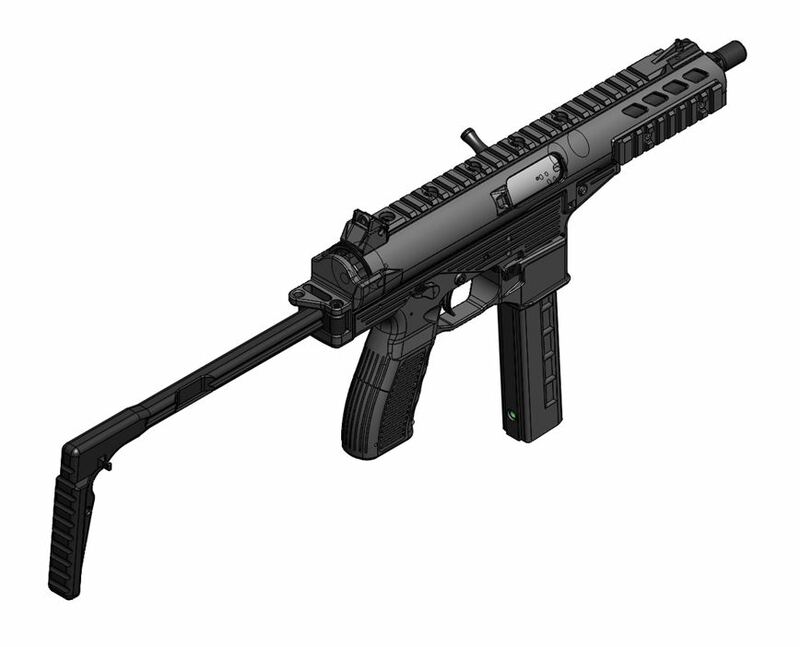 Interestingly the barrel has an an integrated suppressor attachment in the H&K style tri-lug. While the design is brand new it may be slated for a future import by B&T USA, however, the new USA branch of the company is currently concentrating on its APC-9, APC-45, APC-223/556. and APC-300 firearms. 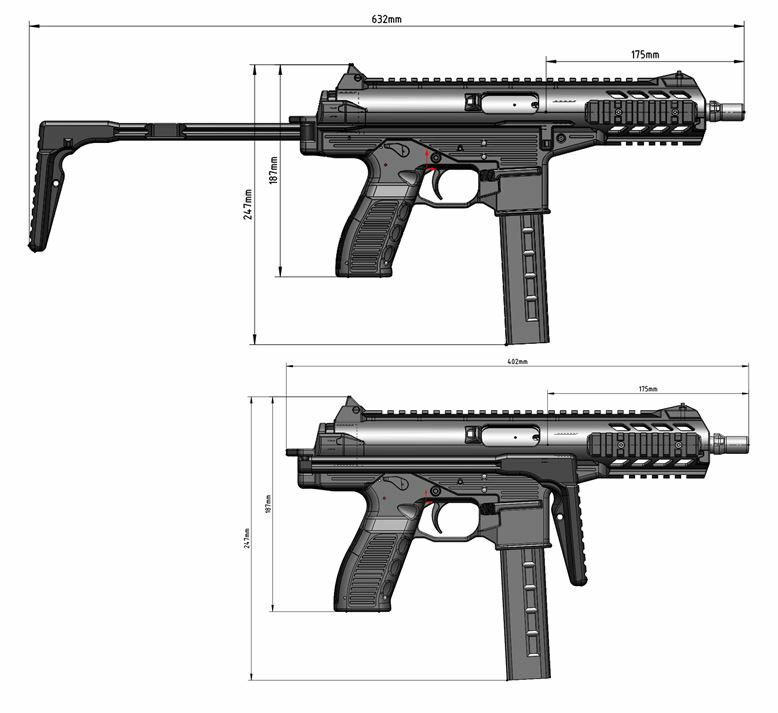 More news is expected after production begins and the firearm begins to sell in Q3 of 2015 for the European markets. UPDATE 2015 March 11 photos from IDEX.